Rob Zombie hit the horror scene during the 90's as a horror rock star. His music and shows were rooted in horror, so it was only natural that he make the move to make horror movies. After all, he had directed his own music videos and had a keen eye for the grotesque. His first movie, House of 1,000 Corpses, had a troubled history by the time it hit theaters in 2003. Originally financed by Universal Pictures, the movie had hit a wall when the studio refused to release it. After several studios came and went, the movie found a home at Lionsgate, a Canadian distributor that was known for making the controversial American Psycho (2000). Lionsgate released House of 1,000 in the spring of 2003 and the movie turned a nice profit. So it was inevitable that a sequel would come along. 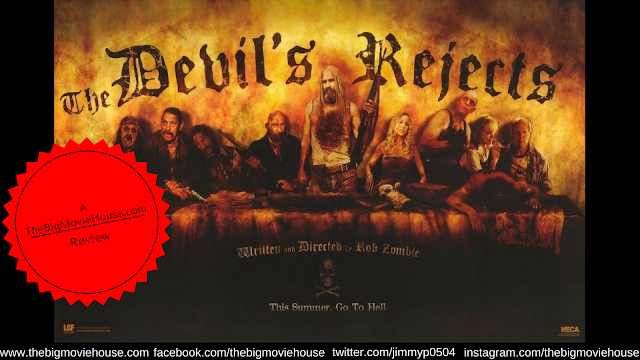 The Devil's Rejects continues the adventures of the Firefly gang. 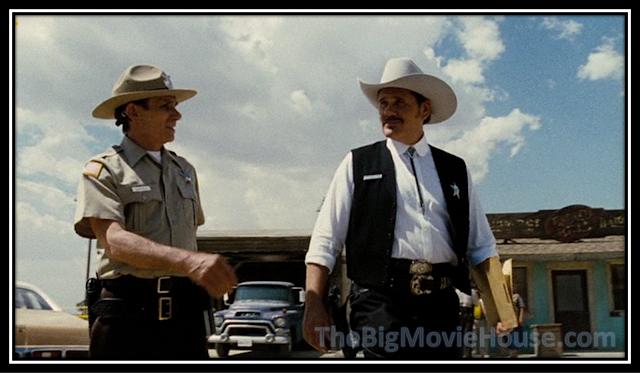 The movie opens with a raid on the Firefly compound by Sheriff Wydell, who is seeking revenge for his slain brother. This opening scene is magnificent. Not only does it show that the Firefly family is prepared for a raid, but it gives us a peek into Wydell's obsession with revenge. Two members of the Firefly family escape, Otis (Bill Mosley) and Baby (Sherri Moon Zombie). They meet up with Captain Spaulding (Sid Haig), but not before torturing and killing some people at a motel in the middle of nowhere. This scene is one of the most intense scenes in the movie because of it's gritty realism and the performances of those involved. The way that Otis and Baby demean and torture their victims is shockingly realistic. Many non-horror fans were surprised that this movie was a sequel to House of 1,000 Corpses. That movie contained a lot of colors and weird camera angles, while this movie is washed in earth tones. There are no bright colors or eccentric camera angles. The most colorful scene in the entire movie is the scene that comes close to the end of the movie where Wydell has finally captured his prey. Wydell, by this time, has stooped to the level of the Firefly family by torturing his victims. This scene gives a new meaning to "an eye for an eye". The Devil's Rejects is Zombie's love letter to the grindhouse movies of the 70's. There are no punches held back, nothing is frowned upon, and the movie is down and dirty. You feel like you need to take a shower after viewing this movie. I love The Devil's Rejects. I am not a huge fan of House of 1,000 Corpses. That movie had it's moments, but I felt that the movie played more like an extended music video than an actual movie. Here Zombie shows that he can make a real movie, one without all the flash and quick editing associated with music videos. This is a very mature leap for Zombie and proves that he can handle any material. Zombie would go on to remake Halloween and make his own sequel to that movie, proving that The Devil's Rejects wasn't a fluke.